Whether you are a seasoned eSports athlete or just looking to take your competitive game to the next level, the Logitech G Pro Gaming Keyboard is engineered from the ground up to enhance your gaming life. Armed with hyper responsive Romer-G mechanical switches, stunning customizable RGB backlighting and a wealth of other features that were actually built to the exacting standards of several of the world’s best professional gamers, the Pro Gaming Keyboard is a great addition to any gaming setup. 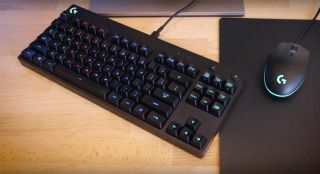 Check out the video above for a look at the benefits of owning the Logitech G Pro Gaming Keyboard and pick up one today with free shipping here.